John Marco Allegro (born in London 17 February 1923, died 17 February 1988) was a freethinker who challenged orthodox views on the Dead Sea Scrolls, the Bible and the history of religion. After service in the Royal Navy during World War II, Allegro started to train for the Methodist ministry but transferred to a degree in Oriental Studies at the University of Manchester. In 1953 he was invited to become the first British representative on the international team working on the recently discovered Dead Sea Scrolls in Jordan. The following year he was appointed assistant lecturer in Comparative Semitic Philology at Manchester, and held a succession of lectureships there until he resigned in 1970 to become a full-time writer. 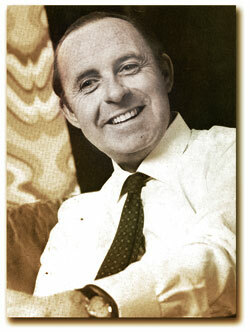 In 1961 he was made Honorary Adviser on the Dead Sea scrolls to the Jordanian government. 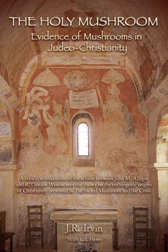 Allegro’s thirteen books include The Dead Sea Scrolls (1956), The Treasure of the Copper Scroll (1960), The Sacred Mushroom and the Cross (1970) and The Dead Sea Scrolls and the Christian Myth (1979) as well as Discoveries in the Judaean Desert of Jordan vol. V (1968) and numerous articles in academic journals such as the Journal of Biblical Literature, Palestine Exploration Quarterly and Journal of Semitic Studies, and in the popular press. Controversial ideas about language, religion and mythology. 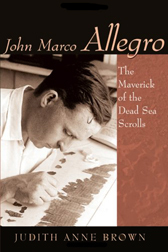 John Allegro understood from the start that the job of the editing team was to make the Dead Sea scroll texts available to scholars everywhere, and he believed their message mattered to everyone. The scrolls had been written around or shortly before the time of Jesus. They give insight into the religious life and thought of a Jewish sect based at Qumran by the Dead Sea and usually identified as Essenes. Allegro believed the scrolls could help us understand the common origin of three religions – Judaism, Christianity and Islam. He hoped they might be able to bring together scholars of each tradition in studying their common heritage without the barriers of religious prejudice. This would mean making the texts accessible to all. Allegro had published the sections of text allotted to him in academic journals as soon as he had prepared them, and his volume (number five) in the official series Discoveries in the Judaean Desert of Jordan was ready for the press by the early 1960s. He continually campaigned for the publication of all scroll texts. However, his colleagues took a different approach, and little else appeared until 1991. Allegro saw himself as a publicist for the scrolls. His books, talks and broadcasts promoted public interest in the scrolls and their significance. At first, the rest of the team encouraged his efforts, which after all were intended to help fund their research. But they thought he went too far in raising questions about the parallels between Essenism and Christianity, and doing so in public. He was accused of stirring up controversy at the expense of scholarship. The controversy over the Copper Scroll deepened the rift between Allegro and the team. At the request of the authorities, Allegro had arranged for the scroll to be cut open in Manchester over the winter of 1955/56. He supervised the opening and made a preliminary transcription and translation of the contents. He found it to be a list of Temple treasure hidden at various locations around Qumran and Jerusalem, most probably after the sack of Jerusalem in AD 70. Initial excitement turned to poison when the team falsely accused Allegro of leaking information to the Press and later of pre-empting the official translation by publishing his own version first. In fact the team had already issued a preliminary translation, and Allegro held his book back to let the official version take precedence. But he could not in honesty support the official interpretation of the Copper Scroll as a work of fiction, and later scholars have endorsed his view that the treasure was real. John Allegro believed that Essenism was the matrix of Christianity. There were so many correspondences between the scroll texts and the New Testament – words and phrases, beliefs and practices, Messianic leadership, a teacher who was persecuted and possibly crucified – that he thought the derivation obvious. This brought him into conflict with the Catholic priests on the editing team, and with most church spokesmen, who maintained the orthodox assumption that the arrival of Jesus was the unique, historical, god-given event described in the Gospels. Allegro suggested it might be less unique and miraculous than they said. He also started to look in more depth at the way the New Testament appeared to weave together a mix of folklore, myth, incantation and history, and to ask why. As a philologist, Allegro analysed the derivations of language. He traced biblical words and phrases back to their roots in Sumerian, and showed how Sumerian phonemes recur in varying but related contexts in many Semitic, classical and other Indo-European languages. Although meanings changed to some extent, Allegro found some basic religious ideas passing on through the genealogy of words. 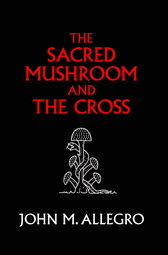 His book The Sacred Mushroom and the Cross relates the development of language on our continent to the development of myths, religions and cultic practices in many cultures. Allegro believed he could prove through etymology that the roots of Christianity, as of many other religions, lay in fertility cults; and that cultic practices, such as ingesting hallucinogenic drugs to perceive the mind of god, persisted into Christian times. The reaction to The Sacred Mushroom and the Cross ruined Allegro’s career. The church found his theory so shocking that the book received instant condemnation instead of scholarly appraisal. Allegro went on to write several other books exploring the roots of religion; notably The Dead Sea Scrolls and the Christian Myth, which relates Christian theology to Gnostic writings, classical mythology and Egyptian sun-worship in the common quest for divine light. To sum up, John Allegro believed the Dead Sea Scrolls raised issues that concerned everyone. It wasn’t just a matter of dusty manuscripts and disputed translations – the story of the scrolls raised questions about freedom of access to evidence, freedom of speech, and freedom to challenge orthodox religious views. He believed that through understanding the origins of religion people could be freed from its bonds to think for themselves and take responsibility for their own judgements.